“Don’t go to Korea for the nature!! !” I know, I have said it a thousand times (and sorry for quoting myself, that is a sin, I know), and you know what, I am not backing off of that. At least, not yet. Korea has a breathtaking amount of cultural history, with dozens of things to do in the capital alone. However, I reassert that, with the exception of Jeju Island, it is not a natural haven, despite what the official tourism website might say. However, Wolchulsan National Park is a step up from most nature oriented places I have been to in Korea. These pretty trees are found around the entrance to the park. The leaves are smaller than their Canadian cousins’. When I first saw it on the map, I had a need to see it, if only to check off another National Park. Hey, there are only twenty, so I figured I could go to most of them by the end of the summer. I had already been to Gayansan National Park when I visited Haeinsa Temple, so I was a bit familiar with how Korean National Parks are. As Wolculsan is really tiny, I didn’t expect much, but I’m happy to announce that I was pleasantly surprised. First, it is a rocky mountain, not a soily one. Okay fine, ‘soily’ is not really a word, but this is what I mean: Many mountain ranges have quite a bit of soil at their bases and for some time on the hikes up. Notable exceptions in the US are the Grand Canyon, and to a greater extent, Zion National Park. 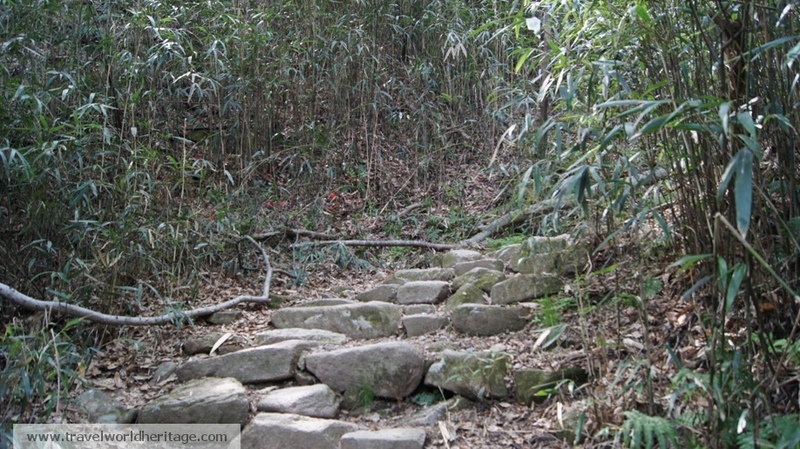 While these are pretty easy, some of the rocks are quite a challenge to hike. For starters, rocky mountains make for more interesting views from the ground up. Soil based mountains usually have a lot of trees all the way up, masking what shorter mountains really look like. This is the reason why many short mountains and hills all look kind of the same. Furthermore, the actual process of hiking is far more interesting in rocky mountains. Soil mountains are easier to carve trails on, which is why they are usually an even and smooth climb all the way up. Rocky mountains can be made of hard stone, so the national park people are forced to integrate these into the trails. While it is true that a normal climb is more challenging in these, it also means that the actual process of going way up is fun, and not just the in-between of getting a good view (which is also cool, but far between). Pretty much every mountain in Korea has a couple of temples tucked inside. I guess monks like to hike. While I was only in this park for a few hours, I was quite happy with the hike. Sadly, hordes of hikers caught up with us when we made the mistake of stopping for the bathroom, making the climb more crowded than I am comfortable with. Nonetheless, if you are already in the area, it is definitely worth a look. I was expecting something a bit more dramatic, but the journey was worth it. This 15 or so seat bus is full of locals who go on day trips to Mokpo, the nearest ‘big’ city. From there, just take a taxi, walk, or take a local bus to the national park. I swear the taxi overcharged me and gave me a lame excuse (for the second time ever, as taxis tend to be pretty honest here), but it was still just 5,000 won ($5 USD) each way so not much to complain about. The national park itself is free. Some people painted the flag on the side of a rock. I guess there are much worse things you can do to nature. There are 21 National Parks in Korea, ALL of them worth visiting. For the size of Korea, I would say it is very blessed with its natural environment. Visit Suncheon Bay in the Spring, you might change your position about Korea’s natural values. thanks for commenting. 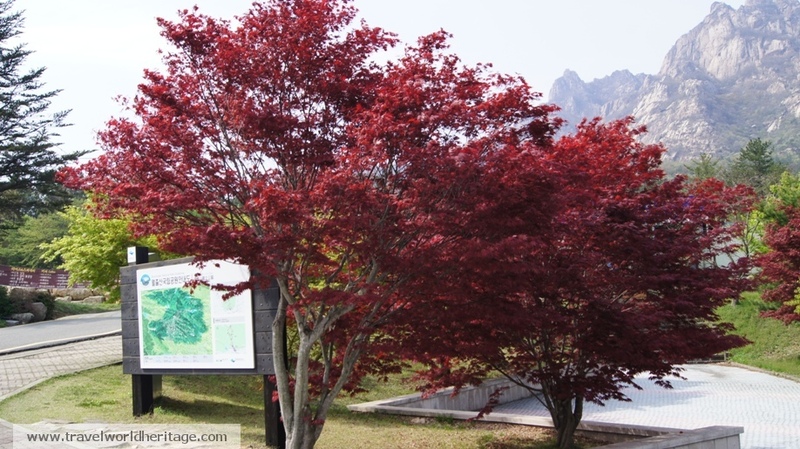 I visited Suncheon in the fall. I agree that it is quite beautiful. However, in my opinion, what makes a national park great is the ability to observe amazing nature and be secluded from people if I chose to. Quite frankly, that is not possible in any of the National Parks I have visited so far in Korea (7) except for Sa-do island in Jeollanam do. 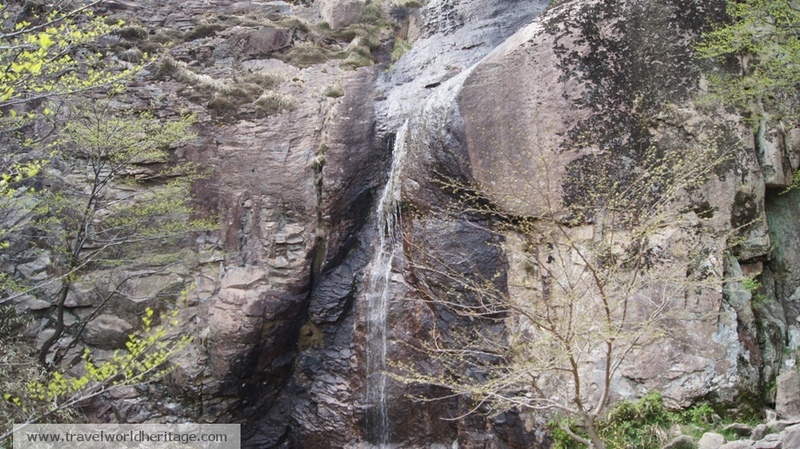 Seoraksan is pretty cool too, but it is quite crowded too. This Beopjusa place I hadn’t heard of though. I didn’t know any wooden pagodas remained in Korea in their original form. This one in Buyeo is quite amazing, but it is a rebuilt replica. You are like the millionth person who recommends Jirisan so I have to go when I return to Korea in late April. Thanks for your comments on my blog :). I would say 1 day is enough for the Suncheon Bay. It is definitely worth a look if you will be there for that long and have already seen Seoul. I feel that there is enough in Seoul for over a week, but if you have other plans of seeing Seoul later, do go for Suncheon! Beopjusa’s famous wooden pagoda is from 1624, I believe. 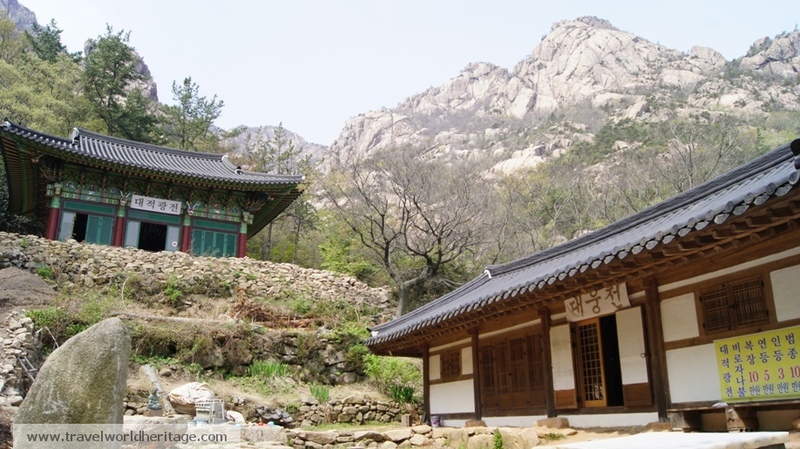 As you know most of Korea’s rich temples were burnt down and looted during the Imjin War. Most were not rebuilt because the country was very Confucian, and Buddhism was downplayed. Beopjusa is the exception. The temple complex is not that large, but there are 3 National treasures, the pagoda being the most important. 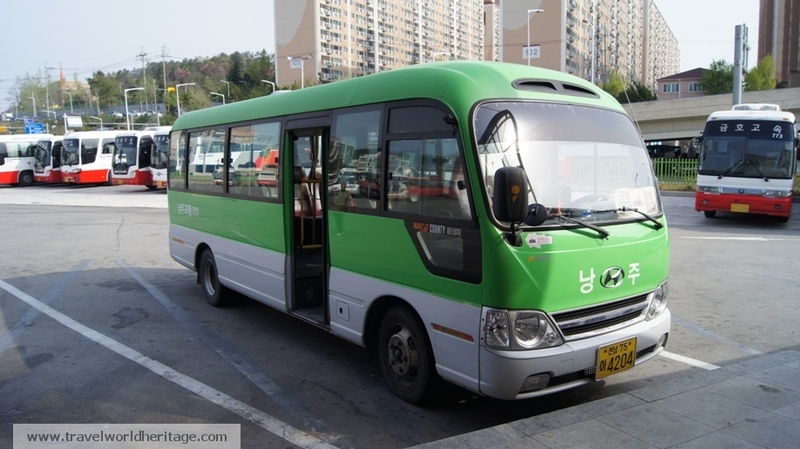 If you have the time, I would recommend taking the bus to Boeun from Seoul (3 hrs). You can visit in a long day trip. First stop, Beopjusa Temple (TWHS), from here is the starting point to a summit hike in Songnisan National Park (3-4 hrs). Once finished, you probably will need to eat, but Boeun has one last gem. Samnyeon Sanseong (Fortress) and part of a TWHS. This is a Silla fortress that is partially in ruins and was built in the 5th century. It was not rebuilt or repaired by the Joseon dynasty, therefore the design is clearly different, and it stands out. One area is partially rebuilt, but most of the fortress is in a ruined state (still impressive). I already enjoy your blog, nice to see someone share their passion about Korea and travelling in general. I will definitely go back with my girlfriend when I come back to Korea in late April. I won’t have a job, so will probably go on a Monday when it is least crowded. I love Korean history and things in general. 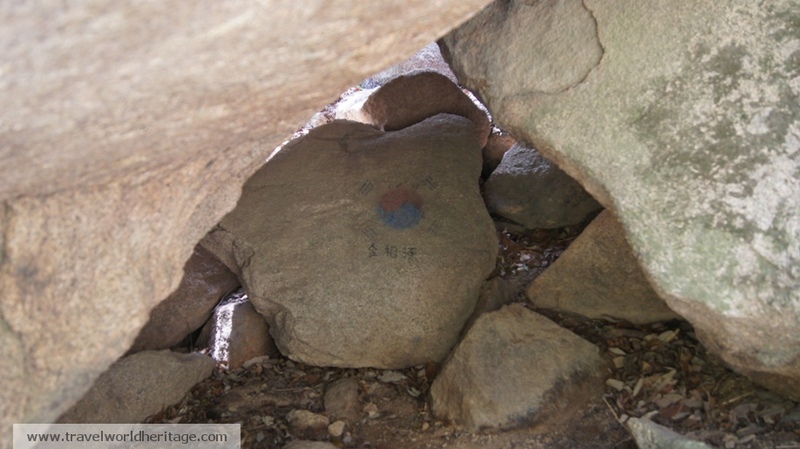 On a recent trip to Bueyo, I learned a lot about Baekje. Have you been here? They rebuilt most of the important Baekje palaces and temples, including the one of King Onjo. He was born in Namhansanseong (I love how Korean history comes full circle). Thanks for your support of the blog. It is for readers like you that I write. it is for me a pleasure to read your comment , as i am going for 17 days to travel around south korea. i have been already 4 days in seoul and around six years ago, and one day also in muido, which is interesting when you have 24 hours transit in Incheon. My plan is to go first of all to Jeju , and then to take the ferry to mokpo and to go and see several places you mentionned . I want to go to boseon to see the tea fields, to jirisan, to suncheon and to busan , then up north to pohang and ulleungo if there is a boat , and then to Seoraksan. It is a ” big ” programm, but that”s not a problem if i just do half of it, as i can come another time. thank you for your blog again. This sounds like a good plan. Personally, I think you can do without Busan. It is a beach city, but you will find way better beaches in Jeju anyways. I would recommend Haeinsa, home of the Tripitaka Koreana. It is on the east side, near Daegu. Boseong is also great, I visited on October of last year. it is very close to suncheon, and also has Dinosaur tracks if you have the time (I didn’t). Last recommendation and my favorite place in Korea outside of Seoul is Hahoe village near Andong. it is also on the east side and is one amazing traditional village that has been around for hundreds of years. Make sure to let us know how it goes and thank you for reading!